is generously giving away a $75 gift card to her shop! week and I couldn't be happier! necklace is nothing short of perfection. I love my open circle necklace. very unique and makes this necklace extra special. link chain which is gorgeous, well worth the extra minimal cost! Here is your chance to win $75 worth of merchandise from her beautiful shop! 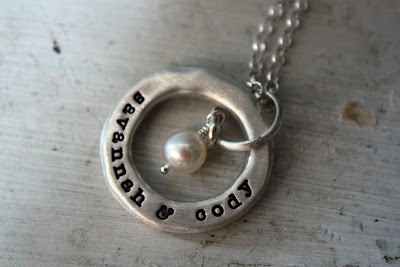 What a great necklace, love the pearl that was added! I would love one with my kiddos names on it! I love her jewelry! I've given Lisa's necklaces as gifts to friends and would love something for myself. I follower Lisa on Twitter! Beautiful! I am a follower of yours and Lisa's! Love her jewelry! I follow you. I am a follower of your blog! I have my fingers crossed. This is a great giveaway!! Thank you! Love your necklace. I am a follower. I am crossing my fingers and toes! What a gorgeous necklace, I can see why you love it so much! Be sure to head over and enter my fabulous book giveaway, too. Beautiful necklace! Sign me up, please! I am a follower! Enter me a second time :) I posted about this giveaway on my blog! Love, love, love Lisa Leonard. Your necklace is gorgeous. I'm a follower. I just posted about this fabulous giveaway on my blog. I love those necklaces. They're so special and meaningful. I love your blog. I blogged about it! What has 2 thumbs and 2 entries in this contest? This girl :)! I am a follower! I love your necklace! I adore Lisa's designs! I'm a follower! Found you through Hillcrest Acres. Love the necklace. Need one foor my niece who is expecting a baby boy. I am a follower of yours and soon to be of Lisa's. That is one lovely necklace! I wish I win so I'll my little Luna's name on it. Thank you! pretty and unique necklace. I am also a follower. Simply beautiful. I'm a follower. i am a follower! fingers crossed! Cute, cute necklace! I am already a follower of My Sweet Savannah. I already follow Lisa on Twitter! I became a follower. I love your blog!!! Very Beautiful. I am a follower. I'm a follower. Lisa Leonard does such gorgeous jewelry. I'm a foIlower of your blog! I already follow Lisa on Twitter. I'm @Fettbot! Hope I win...love her stuff!! I am a follower AND I wrote about the necklace in my blog! Lisa's necklaces are so beautiful--simple and elegant. Fingers crossed! I love her jewelry! I am a follower. I hope I win. have wanted one for a very long time, we're having our fourth baby in Oct.!!! I'm already a follower of yours. :) Thanks for doing the neat giveaway. I love your new necklace!!! I hope I can win one!! What a pretty necklace! I would put my kiddo's on there if I won! Love it! Lisa's jewelry is so pretty and I love your necklace! I follow lisa on twitter!!! ciao melani io adoro i gioielli con i nomi dei propri cari, infatti ho fatto fare un anello con il suo nome quando è nata la mia unica figlia alice. I became a follower! I love her work so much. I posted it on my facebook! Very pretty and so original. Looks like very good quality too. Beautiful! I want one. I hope to win but regardless I may have to order one of those beauties. Crossing my fingers. oh yeah, i heart that necklace too!!! I love that necklace. Have been a follower for a long time now. I am a follower! love your 'my sweet savannah' and also love the necklace! Great new necklace! I've been a follower for awhile! Thanks for a great giveaway! Following your blog! I <3 L.L. 's stuff!!!! I love Lisa Leonard's jewelery - would love to win! I'm a follower! I'm a fan of Lisa's on Twitter! I love Lisa Leonard! I'm a follower! I tweeted this giveaway on twitter! So pretty! I am a follower! How beautiful! Anyone would love it! Thanks for the chance!!! Ok...so I stopped entering all of these because I never win...but this one is too good to pass up! Hope you are having a great day! Such a sweet necklace! I am following. sign me up..her things are gorgeous. I will also place a post at my blog! This is BEAUTIFUL!! I would love to win!! I'm a follower of My Sweet Savannah, absolutely! I'm a new follower to Lisa on Twitter! I've added the giveaway info on my blog... www.flowerpondcottage.blogspot.com! I shared with all my Facebook friends Lisa's beautiful jewelry! Just discovered your blog and how timely. I love lisa leonard. I am now a follower of your blog and appreciate the opportunity to win something I have been wanting for quite some time. I always read your blog. I can't believe I wasn't a follower. I am now. Just became a follower on Twitter. love lisa leonard! i am a new follower! I am a follower of yours already, Melaine! I love your style! Your new necklace from Lisa Leonard is beautiful...her jewelry rocks! I blogged about your lovely giveaway and My Sweet Savannah! Thank you for the chance! What a beautiful necklace! I am a follower. I love her things. I've eyed them for a while!! Beautiful jewelry. I'm a follower of your great blog! Would LOVE to have one of Lisa's necklaces!! I love this necklace. I am a follower. I mentioned the giveaway on Facebook!! I am a follower already! I would love a sterling pendant! I love her designs. Please enter me to win. What a great give-away:) Happy weekend to ya Melaine. Hope to win . . I am already a follower. I just checked out her shop & love it! I'm a follower! I'm a follower! I love, love, love your necklace, it does look extra especial. 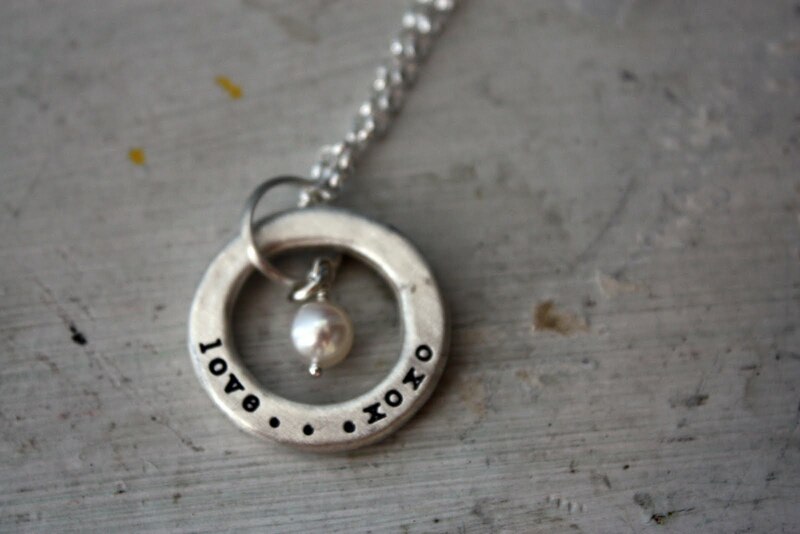 What a great necklace, love your touch with the pearl! I just blogged about your blog & giveaway! www.joyframeworks.blogspot.com Thanks! Love your blog! I am a follower and love the necklaces. I am a follower and I would love to win. Her jewelry is beautiful. So unique! I am a follower and added your link on my favorites :) I love love love the necklace. I'm a new follower (AntO)... really a nice give away... good luck to everybody!! Beautiful necklace. I am now following! Buy silver Gemstone Jewelry,silver gemstone rings,earrings,pendants,designer,handmade & natural gemstone jewelry,sterling silver gemstone bracelets,rings,necklace sets,pendants,and earrings from our online jewelry store. Beautiful necklace! I am a follower ~ and thanks for the opportunity to win. I love the necklace. I'm a follower. I tweeted, too! Thank you for such a wonderful giveaway and gorgeous blog and inspiration! I am a (new) follower through Google Reader. Lovely! Thanks for the chance. I follow. I am a follower and LOVE Lisa's jewelry!! Would love to win one of Lisa's beautiful designs. Am most definitely a follower-thank you both! i fianlly became an "official" follower but you have been one of my favorites for sooo long! raining here too...i am loving the beautiful pictures! thanks for the giveaway...i have always wanted a lisa necklace!!! keeping my fingers crossed! What a beautiful necklace! 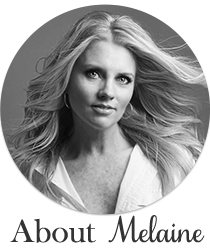 Love your blog, always inspiring! I LOVE this necklace! so sweet! I love Lisa and would love to win. Thanks, and I love your blog and the family photos were great. Just became a follower...I"m crossing my fingers...I love Lisa Leonard's stuff!!! I'm a follower of you and lisa!! I adore the Captured Heart Necklace. So pretty!! I follow your blog and follow Lisa on Twitter!